Sydney Shop Girl: Friday. Soupathon. Even by my standards, it's been an accident prone Friday. I've just dropped my bottle of liquid paper into my lunch. Which was followed by the spoon I was using to eat my lunch attaching itself to my magnetic name tag. Clearly, these are signs that a long weekend is in order. 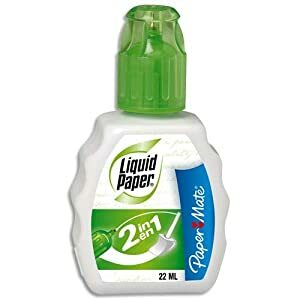 Apparently not many people even use liquid paper these days. Just like they don't tend to write on yellow index cards much. It's pretty ironic that I'm the one with such a strong attachment to the writing materials of the eighties because I really should be writing a whole let less given the state of my handwriting. But it is nice to be able to hold on to the peculiarities of bygone eras. Being a work day, the thermals and jeans combos I've been rocking have had a much needed day off. These AG pleather jeans are so warm and comfortable, I'm glad I overlooked their syntheticness when I first saw them at last year's DJs winter sale. Which reminds me, I might have to pop in and have a look next weekend. There always seem to be bargains with my name written on them at the DJs winter sale. In other news, Darling Street has it's first food truck. Run by Victoire patisserie, it features a counter and display cabinet filled with bread and pastries but alas no expresso machine. They hadn't quite set up for business when I walked past this morning, but I am sorely tempted to swing by again tomorrow to see what's on offer for morning tea. Ironically, my latest box of Twinings English Breakfast isn't tasting very English or much of anything really. So glad to be down to my last few tea bags before discovering whether Tetley's Extra Strong Big & Bold lives up to its name. Thursday's soupathon went well. My cherry red Le Creuset gently simmered a broccoli and blue cheese soup. Which Toddler SSG loved. Roaring Forties Blue. It's your secret weapon in the game of hidden vegetables. Whilst in the slow cooker, I had a batch of Potato, Leek and Chicken Soup. It also featured a few sticks of celery which explains why there's a handful of chopped celery leaves floating on top of the soup ingredients as they wait to be slow cooked. With the addition of turmeric and curry powder, the soup had this lovely warm and spicy richness to it. A bit like Dutch Curry and Rice soup mix, only better. The chicken of the soup's name comes in the form of shredded meat from a whole rotisserie chicken. So many things to love about this soup! I don't think it'll take long to get through the portions I've frozen and I'll definitely be making it again. Have you started on your soups for winter? Any early favourites? The Park. One Pot Pasta. All the Big News Stories. Instant Chip Gravy. Another Black Dress. Lego, New York Style. Parental Solidarity. At Home for the Day. Days On and Days Off - They're Both Busy. An Extended Long Weekend. Vivid Chatswood.